The Life Extension System Rx AntiAging Power 5-Pac is a powerful, intelligently designed combination of Growth Hormone enhancing, cellular fortifying, cleansing, neuro-peptide regulating and PH shifting nutraceuticals never before offered by anyone from any source. Exclusively from AARL, the Life Extension System Rx AntiAging Power 5-Pac powerfully enhances your AntiAging efforts and directly maximize your Growth Hormone therapy. 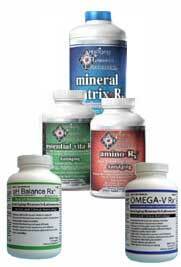 * hormones, exercise, stress, inflammation, hydration, et al are a requisite component as well.